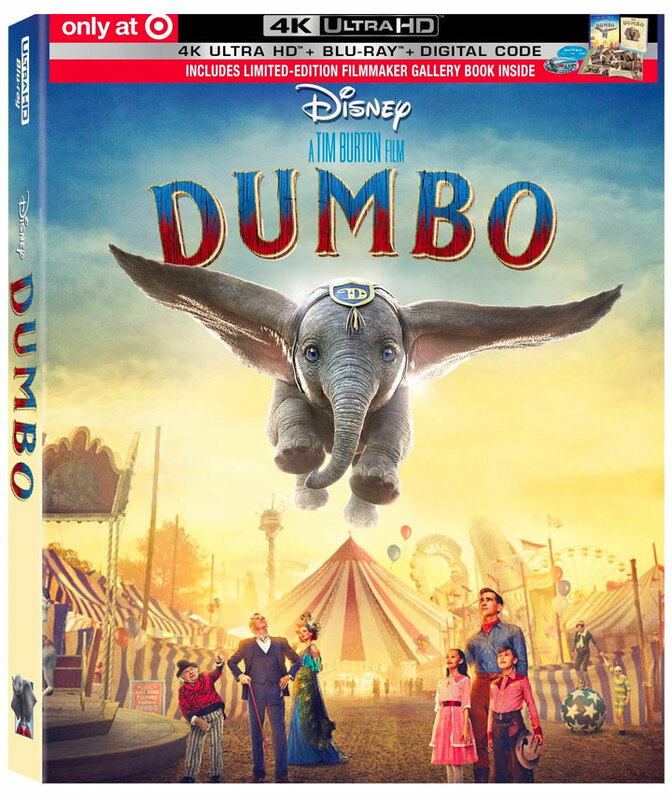 Still playing in theaters, the Tim Burton-directed adventure Dumbo is already available to pre-order on Blu-ray Disc in the form of retailer exclusives from Best Buy and Target. Walmart may also list their own edition to go along with standard Blu-ray, 4k Blu-ray, and maybe 3D Blu-ray editions. Here’s a look at the variations available. 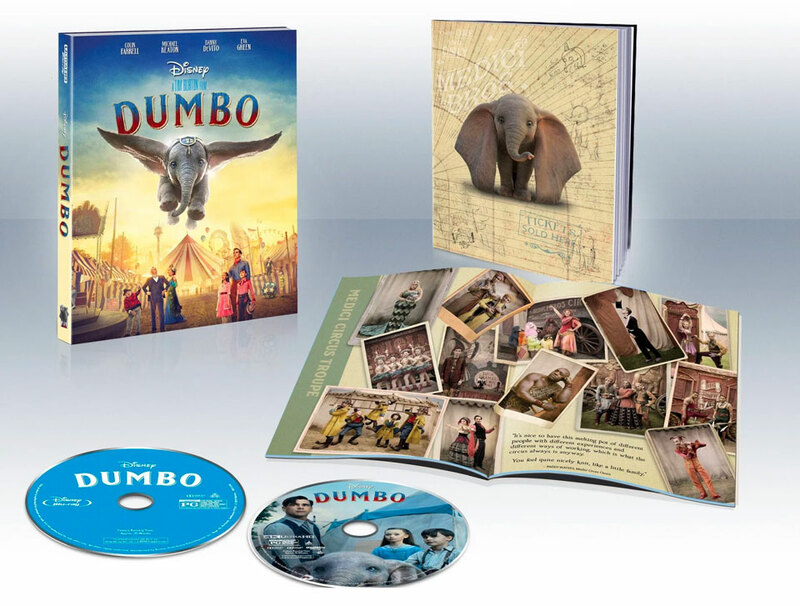 Target’s exclusive Ultra HD Blu-ray edition of Dumbo includes Limited Edition Filmmaker Gallery Book along with a 4k Blu-ray, Blu-ray, and code to redeem a Digital Copy of the film via Movies Anywhere. If you’re already a collector of [email protected] exclusives, this 2-disc edition is a must-have for your collection. At this time we only found a 4k Blu-ray Combo edition (no Blu-ray/DVD combo listed). Price: $34.99 (view product). Dumbo stars Colin Farrell, Eva Green, Michael Keaton, and Danny DeVito based on the story by Helen Aberson and Harold Pearl. The movie released to theaters in the US on March 29, 2019, and has so far earned $267M worldwide.